Why would I need self storage in Independence, MO? There are a variety of reasons why you might need self-storage in Independence, MO. How much is a storage unit in Independence, MO? The cheapest storage unit in Independence, MO is $37.00 per month. What size storage units do you have available in Independence, MO? In Independence, MO we have sizes that range from 4'x6' to 10'x40' to suit your storage needs. How much is it for a 4'x6' storage unit in Independence, MO? The cheapest 4'x6' storage unit in Independence, MO is $37.00 per month. One of the largest cities in Missouri, Independence is widely known as a great place to live and work. Part of the greater Kansas City metropolitan area, it has a population of well over 100,000 people. The city holds a prominent role in American history, as it was the place from which pioneers departed for the Santa Fe, Oregon and California trails during the 19th century. 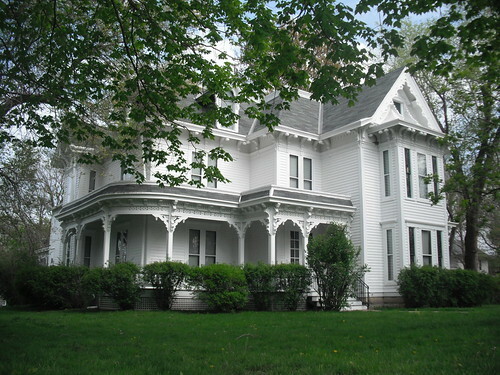 More recently, it was home to Harry S. Truman. You can retrace all of Independence's fascinating history at a number of local historical sites and trails. Independence boasts more than 40 parks and green spaces, top-rated schools, and retail facilities with impressive variety. In addition to the attractions within the city's boundaries, Independence also offers quick access to Kansas City, just 10 miles away. Independence is also just 20 miles from upscale Overland Park, Kansas and 65 miles from St. Joseph, Missouri. You can access just about anything you could want or need within a relatively short drive, whether it can be found in Independence or a neighboring city. The city offers a variety of recreational opportunities, including youth sports and the Blue Valley Activity Center. The college sports scene in Independence is dominated by Blue River Community College, and several mid-level professional teams also call the city home. Independence hosts several well-known community events that draw visitors from miles around. Santa-Cali-Gon Days started in the 1940s, honoring the city's history as the starting point of the westward journeys of many pioneers. The Independence Heritage Festival is a celebration of the many cultures that call the city home, while the Vaile Strawberry Festival is another popular annual event. Independence is home to thriving businesses in the education, technology, health care and government sectors. The city's largest education employer is Independence School District, while its largest government employer is the city of Independence. Major health care employers include Centerpoint Medical Center, Comprehensive Mental Health and Crossroads Hospice. These employers are all a good place to start if you're looking for a job in the city. You may also want to consider Independence's fast-growing industries of construction and finance. Students living in the city attend schools in the Independence School District. There are two private schools in the city, serving secondary students. Blue River Community College and Graceland University offer a variety of college degree programs if you're considering pursuing higher education in Independence. Utilities: The city's major utility companies are Independence Power & Light and the Independence Water Department. Garbage and Recycling: It will be your responsibility to choose one of several waste disposal companies in Independence and to arrange for weekly trash collection. Many of the companies provide recycling services as well. Transportation: IndeAccess, IndeBus and Metro Bus all operate public transit routes in and around Independence. Independence is divided into about 40 neighborhoods of varying sizes and demographics. If you're looking for a home on a cozy, tree-lined street, you can find options along green spaces like Van Hook Park, Santa Fe Park and Burr Oak Woods Nature Center. Conveniently-located, high-density urban housing is concentrated along the city's major thoroughfares and near Interstate 70. Home prices in Independence are extremely affordable, so you should be able to find something that's both budget-friendly and to your liking. Our lowest priced units in Independence, MO average $45.00 per month. 199 people have reserved units in Independence, MO in the past 30 days. There are 3 locations within Independence, MO's city limits. There is 1 location in Independence, MO that offers AC and Heating features.